Discover Madrid with the most friendly and welcoming host families! The best way to discover the Spanish Capital town, its culture, language, cuisine and way of life! Make you discover the vibrant capital town of Spain in the most comfortable accommodation option! The perfect lodgement in Madrid. The safest option for the youngest travelling alone. 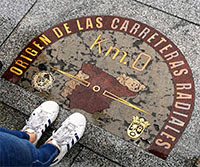 Discover Madrid in the most authentic way. Madrid, capital of the Spanish and Castilian culture, welcomes you to the warmest of ways: with a homestay program. 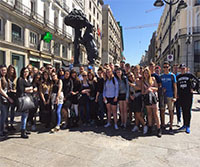 Whether you are a student or traveller, travelling alone or with a group, whether you are young or old, Your Family in Madrid takes care of you and makes your stay an unforgettable moment in your life that you’ll want to repeat again! 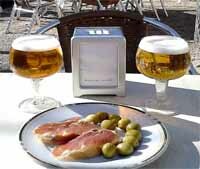 Madrid is a great destination in the heart of Europe, and an authentic travel when you decide to choose a homestay. You discover the true Spanish way of life, from the inside, you share a family´s daily activities, centers of interest, while making progress in Spanish! Don´t you think this is the aim of any true traveler? 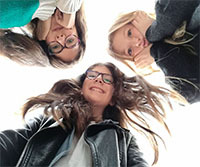 For the youngest, Your Family in Madrid offers a full immersion stay for students under 18 traveling alone: they will be supported by families as if they were their own child. Home Spanish courses can be organized to ensure the most complete language immersion. 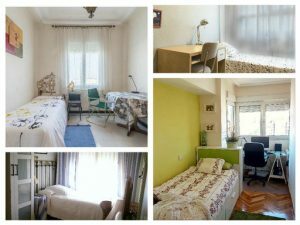 For major students and trainees, accommodation in a host family is the best option. To be hosted by a family means to leave aside all concerns and all the complications that can arise when traveling for the first time in the capital town of a foreign country. Housing quality is guaranteed, the family will give you all the advice and help you to achieve the first elementary steps (for example, to buy a transport pass). And you will not have to cook! So you can fully concentrate on your studies and take all your time to discover Madrid. The homestay is also the preferred accommodation option for school trips always: thanks to the family, students are supported at the end of programmed activities. The host families are well located, close to each other, to facilitate meetings during the day, discovering the Spanish way of life and significantly improve their level of language and especially their motivation! Finally, a homestay offers to all a true cultural immersion and a wonderful human experience, which leads to new friendships that can last long after the end of the stay.